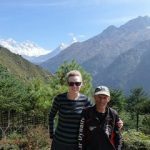 3 passes trek coverage all corners of Everest region high passes 52.5-kilometre length distance with 17 days trek start from Lukla and end to Lukla, This trek has been more popular searchable trek by solo and group trekkers. 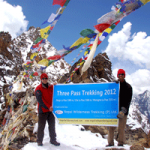 3 passes trek is remarkable high passes trek in Everest region of Khumbu. The passes through a remote highland area of Sherpa hubs, Various landscape, charming Sherpa village, Namche Bazaar, THAME, Birthplace of Apa Sherpa who summit 21 time top of the world highest peak Mt.Everest, glory Gokyo lake, and largest Khumbu glacier. 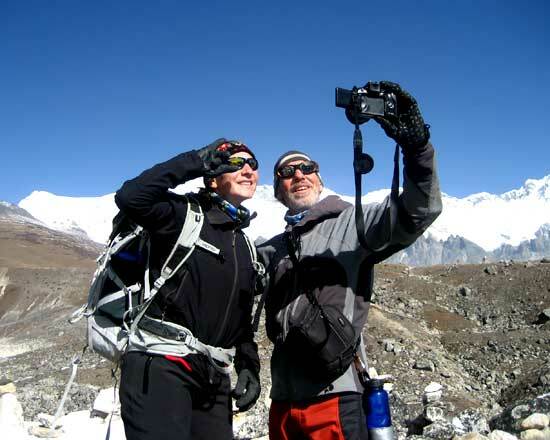 Three passes trek is also moderately difficulty treks connecting with almost every part of the Everest region trek, which requires a lot of stamina and hiking skills. 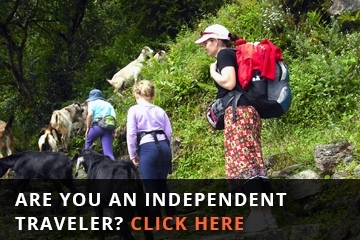 Three pass trek is challenging long length trek with discovers beautiful Panorama Himalayas view. The journey takes specific elevation across the high altitude mountain passes, Renjo la pass 4790 meters, Cho la Pass 5420 meters, and Kongma-La pass 5310 meters. Most of the season, perfect weather to cross. Everest high passes trek cover three high trekking peaks which can summit without climbing permits, Gokyo Ri 5,420 m (17,782 ft), Kala Patthar 5,644.5 m (18,519 ft). Chhukung Ri 5,550 meters (18,209 ft). from these peaks you will also be able to film – take photographs of beautiful mountains Mt. Everest, Mt. Pumori, Mt. Makalu, Mt. 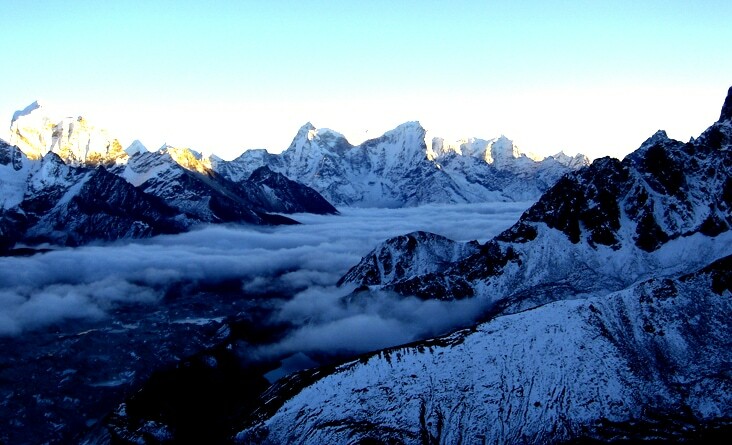 Lhotse, Ama Dablam, and many white peaks. 3 pass trek in not recommendable without guide and porters for independent travellers, the reason is miserable trails, difficulty step climb, icy, slippery Cliffs, altitude sickness, often change the weather. 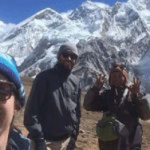 Our agency Nepal wilderness treks guide team is well-known of 3 pass trek remoteness better because of Everest region local guide who done three high passes trek uncountable every month at season time, so guides know every stone steps, mountains, peoples, cultures, area parameter trails. Day 02: Trek to Namche Bazaar (3440 meters. 6/7 hours walking) stay overnight at Lodge. 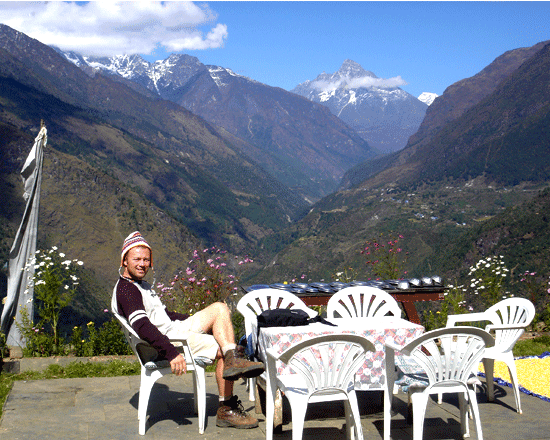 Day 05: Trek to Lungdeng (4600m) 5/6 hours walking) stay overnight at Lodge. Day 06: Trek to Gokyo (4760 meters.) via Renjo Pass (5435) 6 hours walking) stay overnight at Gokyo. Day 07: Visit Gokyo Peak (5560 meters.) in the morning (4 ½ hours walking) for sunrise view and all mountain views, from here we able to see 4 Mountain are more than eight thousand meters high, back to Gokyo stay overnight at Lodge. Day 10: Trek to Lobuche (4930 meters.. 4 hours walking) stay overnight at Lodge. Day 11: Trek to Gorakshep 3 hour walking, the same day visit to Everest base camp and back to Gorakshep, overnight at Lodge. Day 12: Visit Kalapattar (5545 meters. 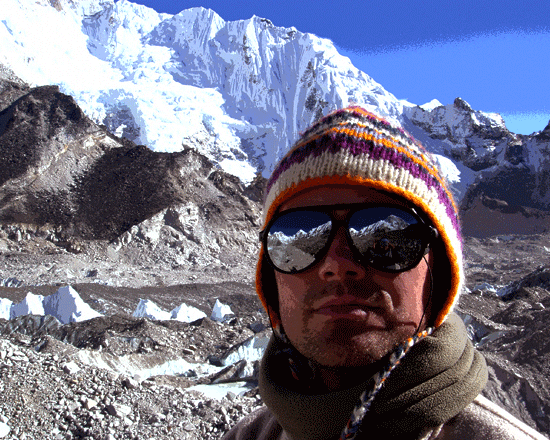 Early in the morning for the best Everest view) trek back to Lobuche (5 hours walking stay Overnight at lodge. Day 13: Cross to Kongma-La (5535m) 7 hours walking) stay overnight at Lodge in Ding boche. 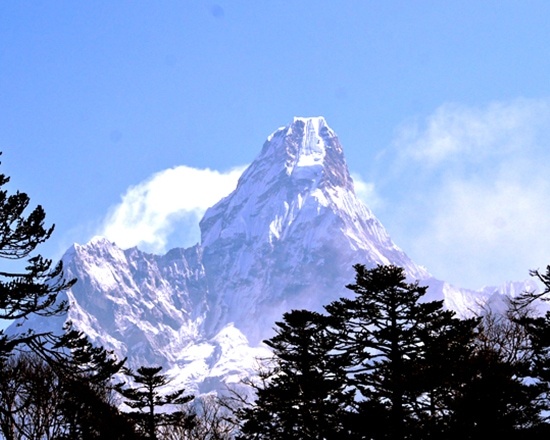 Day 14: Trek back to Tyangboche(3 860m) 5 hours walking) stay overnight at Lodge. Day 15: Trek back to Namche Bazaar (3440 meters.mtr. 6/7 hours walking) stay overnight at Lodge. 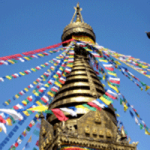 Day 16: Trek back to Lukla (7/8 hours walking) and overnight at Lodge. Our trip with Prakash over Cho La and Renjo La was beautiful! We were delighted with the service and support that Prakash delivered. He has a bright future and is suited to his role as guide. Even though we only needed his services as a porter, we would recommend him to anyone as a guide due to his professional attitude and excellent English. I will be pleased to provide a testimonial shortly and look forward to using your services again in the future. Hi, Himal. Just wanted to let you know that we had a fantastic trek up to EBC. We had fantastic weather all the way up. The clouds started only on our way down from Kala Pattar and stayed most of the way down, but the mornings were still lovely. We wanted to thank you for your help in organizing our porter/guide and porter. They were great guys and worked very hard to make sure our trip went well. Prakash was always very eager to help us in any way possible. He was still watching the other guides and improving his guiding skills as the trip went on and his English was better than we expected for a porter/guide. 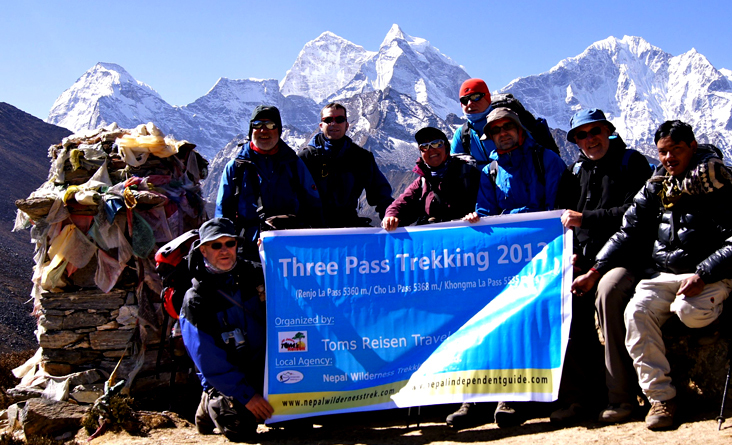 We used the Nepal Wilderness Trekking company for a 19 day “3 Pass Trek” in the Everest region, in October 2012. 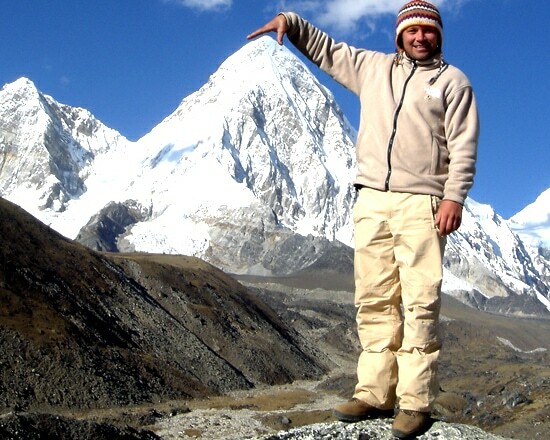 Himal Ghale, the owner, was highly knowledgeable about the Everest Region having worked there as a Guide in the past. 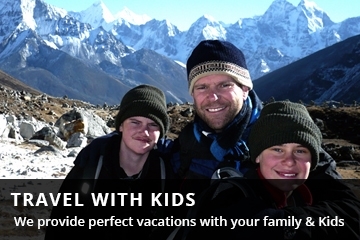 Himal organized a tailor-made itinerary for us, based on our interests, abilities and time commitments. 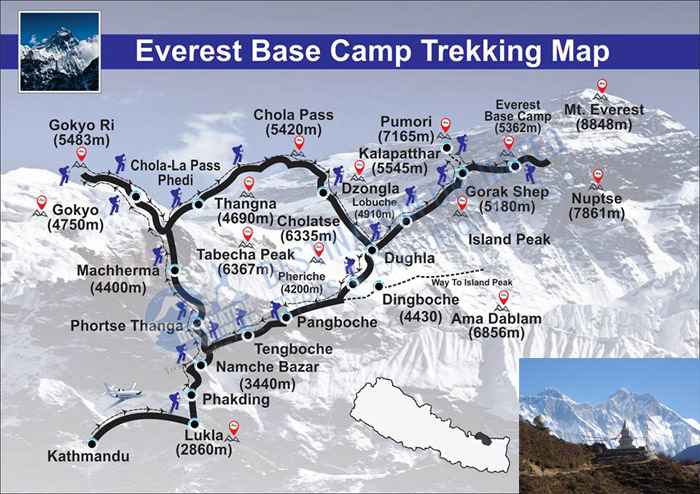 That is included the “3 Passes” route, Everest Base Camp and Kala Pattar, and the addition of a summit of Island Peak. Himal was very responsive in answering our initial questions (remotely), meet with us in Kathmandu, and dealt with some challenges that arose from unforeseen weather conditions. We were also delighted with our assigned Porter/Guide – named “BB.” BB provided first class support to us throughout the trek and lived up to his reputation as a reliable and highly experienced Porter/Guide. Amazingly, BB had competed over the past eight years in the Tensing/ Hillary Everest Marathon!! He knew the region exceptionally well, including the many route variations and options we could take for different terrain/altitude, and chose excellent guest houses for us to stay at BB was well known, respected and welcomed by guest house proprietors along the way. He was also a very kind and caring gentleman – we will always remember BB with great fondness, respect, and gratitude for a wonderful trekking experience. 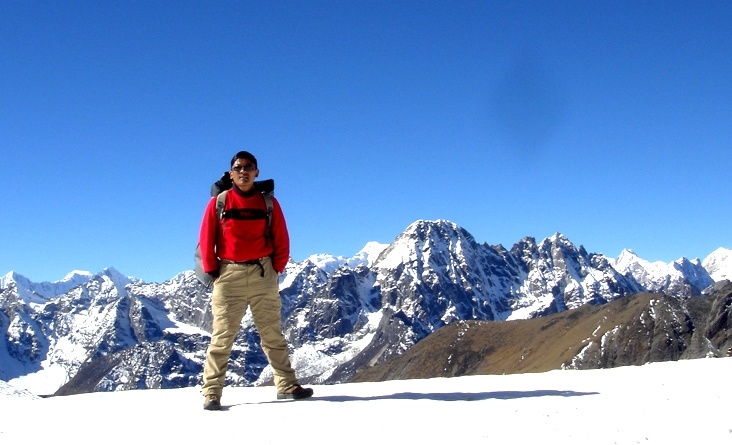 We wish Himal well over the future years and would recommend the Nepal Wilderness Trekking company to other trekkers for the Everest region. Just finished the 3 Passes Trek (Renjo, Cho La and Kongma La pass), EBC and Kala Patthar, and finally, Island Peak summit with Nepal Wilderness Trekking Had a great trip. Himal and our guide Purna worked everything out perfectly. This team comes highly recommended from me. We enjoyed our three pass trek. Challenging but rewarding. Magnificent views, Purna + Bir did a very good Job-they were very flexible when we wanted to alter our plans, and we always helpful + supporting their attitude + personality helped us a lot on some of the long climbs, and through the cold +wind. 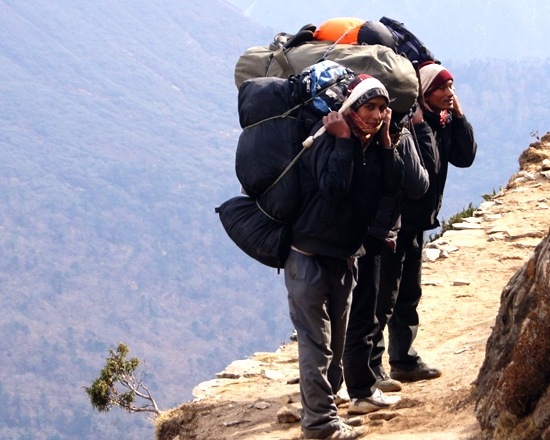 It was a very memorable trip – thanks to Himal + everyone else who helped us along the way!